The staff was so kind and helpful! The bathroom and kitchen were very clean. 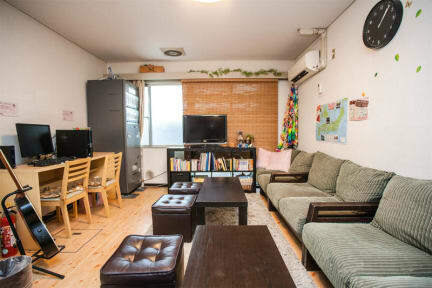 The hostel was just about 4 blocks away from the Hiroshima main station, very accessible. In the lobby they have posters with exact information (which train, platform, prices, hour of high tide, low tide, ferries, rope line) on Miyajima, which came in really handy. Friendly staff and comfortable beds. Really small bath rooms but I guess that's normal for Japan. Good location close to the train station. Perfect location, near the trainstation (oropax needed for nice sleep) and the sightseen busses. Staff is really nice and hepled me with the planning the days in Hiroshima. The facitie it self is clean, but everything is a bit worn off and the bathrooms in the dorms really small. But for a short trip I would definetly recogment it! Great location very near to the train station. Friendly staff, good wifi. there are only 3 showers in the hostel. you had to wait sometime to use one. would recommend it and stay again there! Good locazion next to the trainstation.